LinkedIn Company Pages provide a way for businesses to gain exposure online by including details about products and services. Recently, LinkedIn evaluated how their "products and services" pages were being used. They found that people visited the company pages, but didn't click through to view the detailed products and services pages. As a result, the "Products and Services" tab will no longer be available after April 14th. Instead, busineses will now have the ability use "Showcase Pages" to highlight their servces. With Showcase Pages, you can extend your Company Page presence and focus your message to engage very specific audiences. Use these step by step instructions to set up LinkedIn Showcase Pages for your business, to replace your existing Products & Services pages. 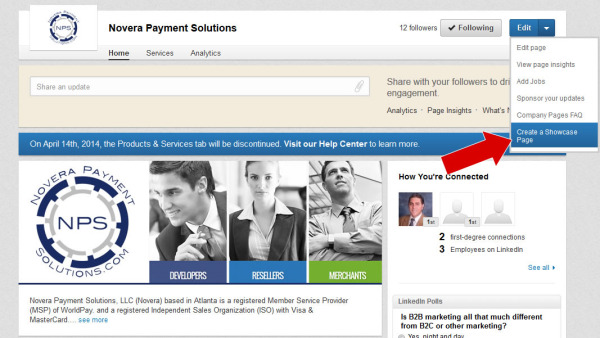 On your LinkedIn Company Page, click the down arrow next to the blue Edit button near the top of the page. Then select Create a Showcase Page. You will then be prompted to enter the name of your Showcase Page that will be visible to the public. You are automatically assigned as an administrator to the new page, but you also have the opportunity to add other administrators. However, you must be a 1st degree connection to that person to add them. Once you hit create, the page exists, but won’t appear in search results or in the linked pages shown for your Company Page yet. At this point you can start editing the page and inserting all the information you gathered beforehand. Once the page looks the way you want, either you or one of the other administrators you assigned has the ability to finalize the page. Once you click Publish, your new Showcase Page will be public. Just like with Company Pages, you should post updates to your new Showcase Page regularly. The Showcase Pages are child pages of your existing Company Page and therefore LinkedIn members can actually follow those pages to get those updates as well. This allows you to target certain messages to certain audiences. 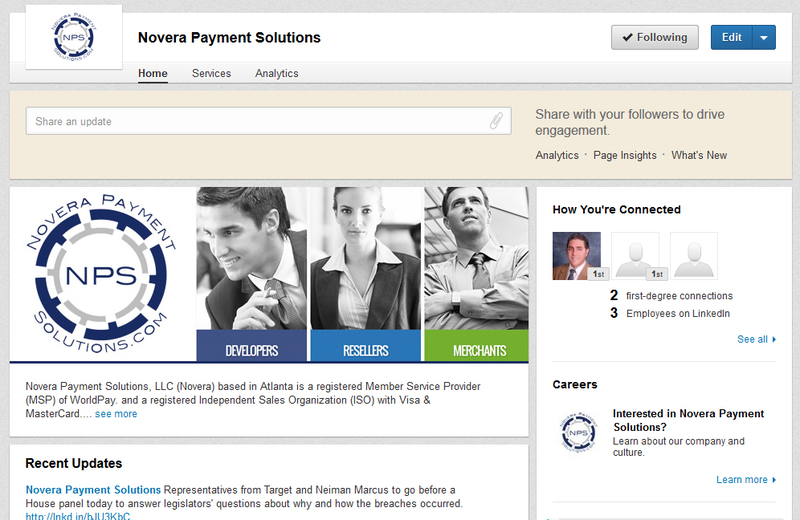 As an example, Novera Payment Solutions created a LinkedIn Showcase Page off our company page to feature our QuickBooks online credit card processing plugin. You can see what the updates look like in the image below. Much like updates you make on Facebook, you can push messages, links, and images to your Showcase Pages daily. While the products and services pages are going away, these new pages will be able to showcase the most important aspects of your business such as a specific brand, business unit or company initiative, so there's a huge upside to LinkedIn making this change. LinkedIn is one of the most powerful online marketing tools, especially for B2B marketing, so invest some time to make your new Showcase Pages stand out! Novera Payment Solutions is a leader in the credit card payments industry. We are committed to helping businesses improve their bottom line by providing significant savings on credit card processing fees through our innovative flat fee merchant account pricing model. Contact Novera to learn more about how we work with businesses to provide the most fair and transparent pricing structure available on the market today for credit card processing and our QBPlugin for QuickBooks! Sometimes referred to as the business version of Facebook, LinkedIn is considered a critical place to connect with other businesses. While many people have profiles set up, most are not optimized to provide the best business opportunities possible. Here are 7 tips to help you get your LinkedIn profile to All-Star status. The only way to effectively be found on LinkedIn is to have your profile complete. The LinkedIn search algorithm looks for 100% completed profiles, so if yours is not complete, you will likely end up at the bottom of search results. Not only does a complete profile help you rank well within LinkedIn searches, public LinkedIn profiles are also indexed by Google. Look to the right of your profile page and you should see a space titled “Profile Strength.” The levels are Beginner, Intermediate, Advanced, Expert and All-Star. You can increase your profile strength by clicking the “Improve Your Profile” button at the top of your profile page. You will be prompted to answer questions that will help to complete your profile. You can also manually edit any section of your profile that you wish. Think of your headline on LinkedIn as the subject line of an email. You need something to catch the reader’s attention and make them want to check out your profile. By default, your company name and title is used by LinkedIn in the headline area. This does not make for a very good headline. Fortuantely, you can edit the headline, but you only have 120 characters, so make them count! Want to save on credit card processing? I can help – call for a Free 15-Minute Consult! A LinkedIn profile with a professional headshot is seven times more likely to be viewed than a profile without one. In order to obtain a 100% LinkedIn profile status, a profile photo is required. Don't annoy your profile viewers with excessive keywords; however, LinkedIn’s search algorithm does value keywords in certain sections more than others, so keep that in mind when writing various sections of your profile. 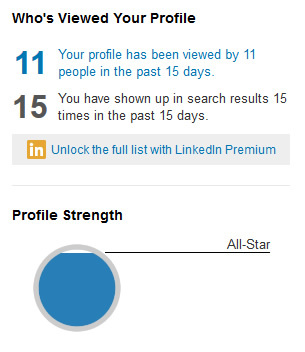 To gain "All-Star" profile status you have to boost your connections to at least 50. So how can you get more connections? Make your message stand out, so the person on the other end wants to connect with you. LinkedIn gives you an option to include a personalized message with the email that LinkedIn generates ... be sure to use it. Adding your skills is also necessary for "All-Star" profile status; however, you can go beyond that and use recommendations to build credibility on the skills you’ve listed. People tend to give more credibility to a third party recommendation, so LinkedIn recommendations are so important. When trying to build your recommendations, embrace the idea of givers gain. If you give a recommendation to someone else, they are more likely to give one in return. By default, your LinkedIn profile URL consists of random alphanumerical characters. However, you can edit this by going to “Settings,” “Edit Public Profile,” then “Customize Your Public Profile URL.” You can enhance your personal brand by adding your name to your LinkedIn URL. For added coverage, make sure that your Facebook, Google Plus and LinkedIn vanity URLs are all the same. For example: www.linkedin.com/profile/janedoe and www.facebook.com/janedoe. You can enhance your profile in different ways by taking advantage of LinkedIn applications. For example, if you write a blog for your company, you can install the WordPress app allowing you to sync blog posts with your LinkedIn profile. Other sample applications that allow you to show off your work include Slideshare (for sharing presentations) and Box.net (for embedding videos in your profile). Whether you are an entrepreneur, working for a non-profit, working for a company, or new to the business world altogether, LinkedIn is a great networking and connection tool to help you achieve your professional goals. Having a professional LinkedIn profile set up with "All-Star" status can help you take advantage of business opportunities and connect with influencers in your industry. Contact Novera to learn more about how we work with businesses to provide the most fair and transparent pricing structure available on the market today! 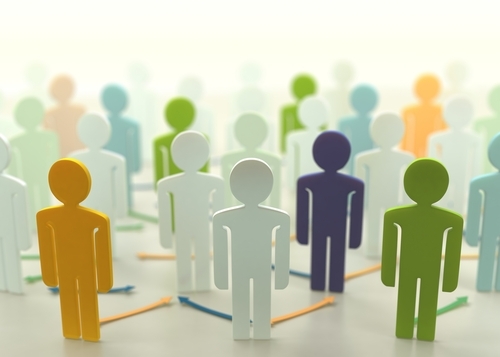 LinkedIn Groups are powerful online forums that QuickBooks® users can take advantage of. By joining or creating groups, you can not only engage your customers, but interact with industry peers, and QuickBooks power users. Through LinkedIn Groups, you can collaborate with like-minded professionals and join in discussions about your interests. Not only can you read and share content, but you can find answers to questions, post and view jobs, make business contacts and establish yourself as an industry expert. By starting your own group, you can create customer relationships, gain access to an audience of professionals, raise brand awareness and position yourself as a thought leader. From geographical location to industry trends, you can create or join a group on just about any topic you want. Some groups are set up so the manager has to approve new members, but others are open to anyone who wishes to join. Members can start a discussion on any topic, but occasionally the manager will have it set up to be approved before it is publicized. You can join groups by browsing the suggestions LinkedIn has picked for you through the “Groups” tab. Another way to find groups is by using the search tool with relevant keywords for groups you are interested in. You can also see a complete list of LinkedIn groups by selecting “Group Directories” under the “Groups” tab. QuickBooks® users have six active LinkedIn Groups that are worth checking out! Having problems with QuickBooks? We're here to help! This is a public group that you can join to ask questions and get answers about QuickBooks. This is a public group featuring QuickBooks tips, tricks and expert advice from the author of QuickBooks Solutions Guide, QuickBooks on Demand and QuickBooks Essentials DVD Live Learning Series. This LinkedIn Group is composed of loyal users and product evangelists of Intuit and QuickBooks products. This is a public group for QuickBooks Online users, trainers, and partners. It’s a place for people to post questions about the software and share their tips & tricks. There are hundreds of integrated 3rd party solutions developed for QuickBooks. This group aims to help Members find the best solution for their specific business needs. This LinkedIn Group features questions and discussion about integrating other programs and 3rd party applications with QuickBooks, like Novera Payment Solutions InstantAccept plugin. Novera Payment Solutions offers a QuickBooks® plugin called InstantAccept®. InstantAccept processes transactions easily at the point of sale, takes care of all the back-end bookkeeping and integrates seamlessly with your payment processing. InstantAccept provides fewer bookkeeping hassles, better security and the freedom to grow your business. With such simplicity and flexibility at your fingertips, InstantAccept frees you to do what you really want to do: run your business. 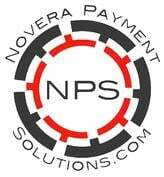 Novera Payment Solutions is a provider of credit and debit card payment services for businesses across America, transparently guiding business owners through the complicated world of credit & debit card acceptance. Novera delivers a unique combination of value, integrity and price transparency that is unparalleled throughout the payment processing industry. The value lies in both our solutions and our pricing model. Novera delivers an integrated accounting solution for QuickBooks® called InstantAccept® that allows users to automatically have credit/debit card payments made on invoices post into their QuickBooks® accounting software. LinkedIn is a great social network for meeting other business professionals. It is also a great place for people to learn about your business. With the ability to create company pages, you can now put your business in front of all the LinkedIn users. Setting up a profile is pretty simple and with these steps, your page will be up and running in no time. From your home screen, hover over “Interests” in the navigation and select “Companies” in the dropdown. To the right of your screen you should see “Add a Company.” Click that and you are ready to begin inputting your information. On the first screen, you will be prompted to enter your company name. Type this name as you want it to appear on your LinkedIn Company page; this is how others will find your business. You will also need to enter your email address at the company to prove that you are a current employee of the company. On the next screen, you will be asked for some basic information about your business. You can provide a link to your website, choose your industry, add a location and contact information and more. This step is pretty self-explanatory. In this section, be sure to be detailed about your business without going overboard. You want to use keywords that people will be looking for to find your business. This is also the section where you can build creditability for your business. You don’t need to talk about every individual product or service you offer in this section; there will be a place to add that later. This should be a general summary of who you are as a business and what you do. You are also able to upload your logo which will appear similar to the way a profile picture would on Facebook. You can also upload a cover photo to be displayed on your company profile page. Once you have everything filled out and your pictures uploaded, click publish. You can always come back and edit anything that you need to. Here is where you can get into detail about the products and services your company offers. Once you have saved your company profile, you should be on your company’s home screen. In the navigation at the top, click on the Services link. From that page you will be prompted to add a service or product. If you do not see that option, go up to the edit button in the top right corner and in the dropdown you should see add product or service. Now you can choose a category that your service or product fits into. You have to name it, add a description and you can also upload a photo of it. You can add features if you like and also add a link to a specific page on your website or a YouTube video about the product. Now your LinkedIn Company Profile is complete. You can always add to it and update it as your business grows and changes. Now it’s time to start promoting your page. Be sure to let all your connections on your page know that you have a new company page and to go follow you. Then be sure to post relevant content on a regular basis not only to your personal page, but also on your business page. This will not only help you to be seen within LinkedIn, but having an active social media presence can help your business jump up in the search result rankings. Novera Payment Solutions is a leader in the credit card payments industry. We are committed to helping businesses improve their bottom line by providing significant savings on credit card merchant accounts through our innovative flat fee merchant account pricing model. Contact Novera to learn more about how we work with businesses to provide the most fair and transparent pricing structure available on the market today for credit card processing! Contact Novera to request a free quote on your merchant account. We are confident that our flat fee merchant account will provide significant savings over what you are currently paying for your credit card processing fees.